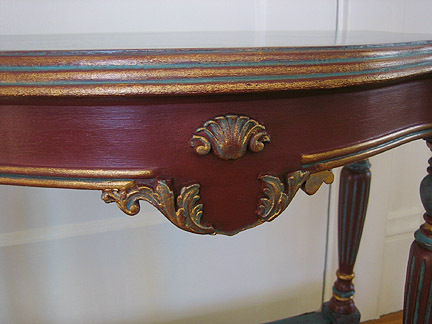 Burgundy and teal colors were chosen by the Client to provide a colorful accent in an otherwise subtle entryway. Layers of color and iridescence highlight the carved detail. San Mateo, Ca. To see more detail, click link below.